It's fun to add more than just butter and brown sugar (or marshmallows!) And they're so customizable! Kelly has an indian-inspired version here. Or you can try my salsa verde version. 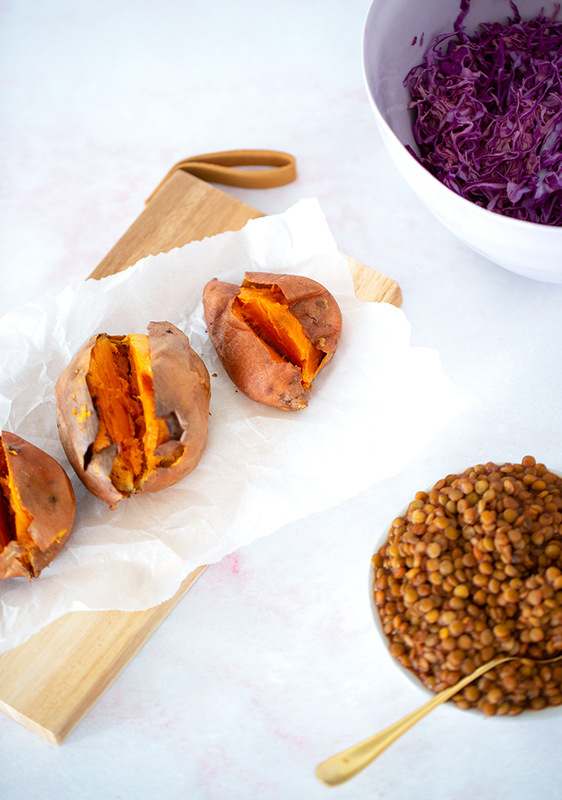 The sweetness of the sweet potatoes goes perfectly with the sweet and spicy flavor of the bbq lentils. And the smokiness of the chipotle is a dream with the crunch or the red cabbage. It is delicious and is very easy to prepare... and hearty enough for even meat-eaters to feel satisfied. 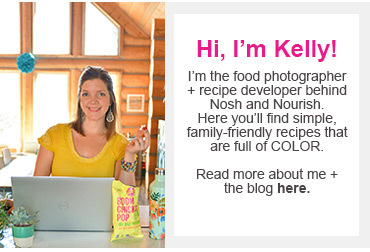 I love Kelly's 2019 goal to "Eat More Plants." 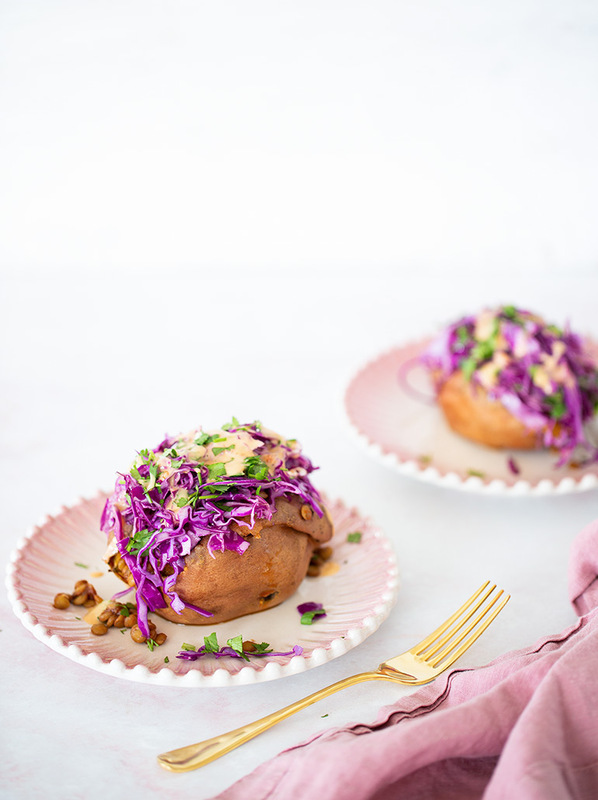 If we all just subbed in a few meatless dinners a week (like this delicious one!) then the planet and our bodies would thank us. You could also add some black beans for even more protein/fiber, or 1/4 cup quinoa. 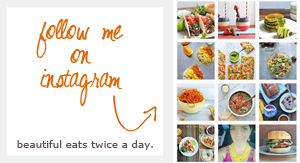 Go ahead and make this recipe your own and use what you have on hand! Put the sweet potatoes on a baking sheet. Rub the sweet potatoes with the olive oil and season with salt. Bake for 30-35 minutes. Leave until they give a little when pressed and look caramelized. In the meantime, put the cooked lentils in a skillet and warm them up with the bbq sauce. Make the slaw dressing by mixing the mayonnaise with the lemon juice, the chipotle powder, and salt. Mix in the shaved red cabbage. 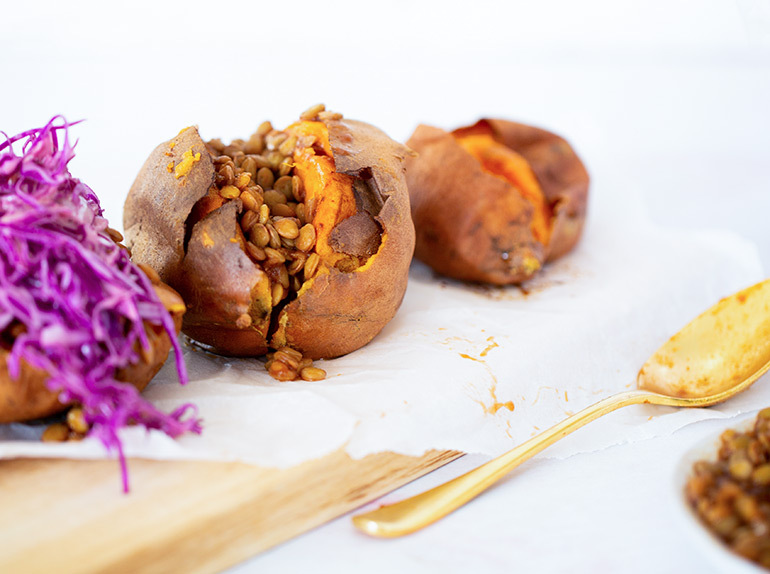 For serving: Make a small incision in the middle of the sweet potato, spoon 3-4 tablespoons of bbq lentils and top with the red cabbage slaw. Top with chopped cilantro.